Screenshot from the video introduction to Carla Hayden on the White House Facebook page. 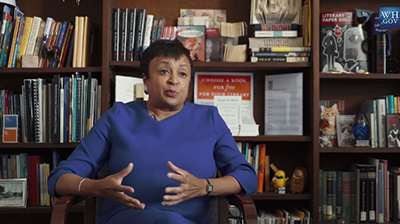 April 20: Coverage of Carla Hayden’s confirmation hearings for Librarian of Congress will air live on C-SPAN.org beginning at 2:15 p.m. ET. 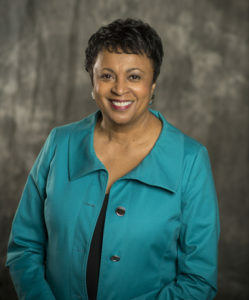 President Obama announced his intention to nominate Carla Hayden, CEO of Enoch Pratt Free Library in Baltimore, as the 14th Librarian of Congress on February 24. “If confirmed, Dr. Hayden would be the first woman and the first African American to hold the position—both of which are long overdue,” said President Obama in announcing his intent to nominate Hayden. Hayden would also be the first professional librarian to serve in the post since Lawrence Mumford’s retirement in 1974, a fact that helped to build enthusiasm for her nomination. “The talents and attributes of an excellent librarian can help shape the library to address the needs of the American people,” says ALA Washington Office Executive Director Emily Sheketoff. “He was so roundly criticized for that, because in any town he went to, people believed their local librarian,” Sheketoff says. Ultimately, he called Hayden to apologize for the remarks. 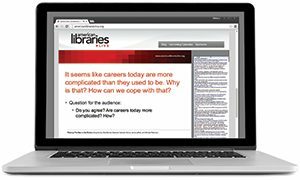 “Carla was very gracious, but she made her point that the reason he was so unsuccessful was that people trust that their librarians have their interests at heart,” Sheketoff says. ALA Executive Director Keith Michael Fiels says Hayden’s influence helped shape how the Association as a whole addressed equity of access. ALA’s first strategic plan created key action areas and position papers for each. “Developing a position paper on equity of access was difficult because it was such an elusive topic,” he says. “She really brought the Office for Information Technology Policy and OLOS together to start working on a more integrated approach to the concept of equity of access.” Hayden helped to ensure that equity of access included literacy, service to homeless and underserved populations, adequate broadband capacity, bookmobiles, service to people with disabilities, and reducing the digital divide. Hayden was also a strong supporter of OLOS’s publication of From Outreach to Equity: Innovative Models of Library Policy and Practice, which highlighted how librarians in all types and sizes of libraries were delivering services to all populations. 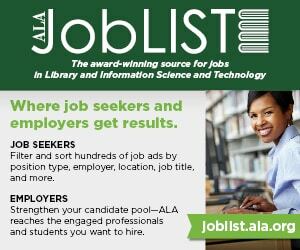 “I loved the idea that you could work in a rural library or bookmobile and write an article that ALA would publish in a book,” Orange says. Hayden collaborated with the OLOS advisory committee and wrote the foreword to the book. More recently, Hayden attracted significant attention for her leadership during the unrest in Baltimore in 2015 after 25-year-old Freddie Gray died while in police custody. Enoch Pratt’s Pennsylvania Avenue branch was located at the epicenter of the protests, and several businesses across the street were burned. Hayden kept it and all of the library’s branches open as a haven, resource, and anchor for the community.